Imagine you’re sitting in a meeting reviewing a project that has gone pear shaped. Somewhere along the line things were missed and now the project has snowballed and isn’t panning out like you had planned. The project seems like a complete failure; wasted resources, tense relationships and key deliverables that are not likely to be achieved. So what do you do? The first step is to recognise that no one can tell the future and you won’t always foresee the risks of a project. If you’re rolling out a project that has never been done before you are bound to come up against some challenges. If you’re feeling angry or irritated that risks weren’t recognised and / or addressed, be aware that this might affect your decision making in a negative way. You might feel anxious or stressed, but make sure you get these emotions working for you not against. Get motivated to find some solutions rather than being paralysed. It often helps to talk to other people who have been through a similar scenario. As they recount their stories and what they learned, it might help give you the perspective that you need to recognise this as a learning or improvement opportunity. To uncover what really went wrong, you will need to be really honest about what happened throughout the project. Being accountable for your actions and role modelling this behaviour for other project stakeholders is an important way to get the facts. Be curious, ask questions to find out all the factors that influenced the project rollout as you start to uncover where things might have gone wrong. You will need to separate the facts from the emotions to be able to assess the opportunities for improvement. Tools like Edward De Bono’s Six Thinking Hats can provide a useful framework when opinions and judgements get mixed up with the facts. What will we never do again? What will we always do better from now on? These three questions will always bring you back to improving the way you work. As a leader you should always look for what you can learn; whether the project has been salvageable or seems to be a dismal failure. A useful strategy for managing projects before they get out of control is to review stages regularly. If there are issues that need to be addressed, be prepared to temporarily pause project implementation or perhaps even cancel the project if the issues are too severe. In these cases you will need an exit strategy. 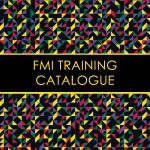 FMI provides courses and programs including managing projects. Contact us to discuss your needs.